Described as 5 ft 61/2 inches high, weighing 164 pounds, with dark complexion, brown eyes and black hair. Henry Aitken was born in Marykirk, Scotland on 10 January 1888, the son of Andrew Eddie Aitken, a farm labourer, and Elizabeth Aitken (nee Gordon). His early years were lived at or near Brechin. At the age of 18 he emigrated to Canada as a ploughman, probably to join up with his elder brother, George. They may have been encouraged by their Uncle Henry who had migrated to Toronto in 1886. After working in the Canadian interior, (including Moosejaw and Medicine Hat) in about 1910 Henry returned to Scotland for a holiday. While there he was asked to accompany shire horses that were being imported to South Canterbury by Arthur Elworthy. Henry arrived in New Zealand in 1911. It is understood that he had intended to return to Canada but was unable get a passage and in the interim he worked as a groom and ploughman for the Elworthy family at Holme Station, Maungati. His return to Canada was probably put in abeyance by his meeting up with Dorothy Bellenger, who was working as a housemaid at Holme Station. Family reports of his transporting kegs of beer balanced on his pre-war motorcycle going at a great pace on shingle roads suggest he may have had a boy racer disposition. Henry enlisted in the New Zealand Army (no 6/2522) on 17 April 1915 and was posted to the 3rd Battalion, Canterbury Infantry Brigade. He joined his unit at Mudros on 30 September 1915 for participation in the Gallipoli campaign. His time on Gallipoli was very brief as a bout of dysentery delayed his departure from Mudros. 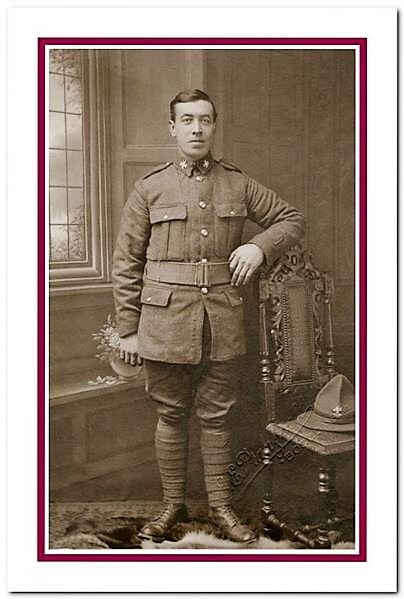 From Gallipoli he was posted to Egypt and from there to France on the Franconia in July 1916. He was wounded in action in the Battle of the Somme on 25 September 1916, receiving gunshot wounds (other reports state it was shrapnel) to the left shoulder resulting in a broken arm. 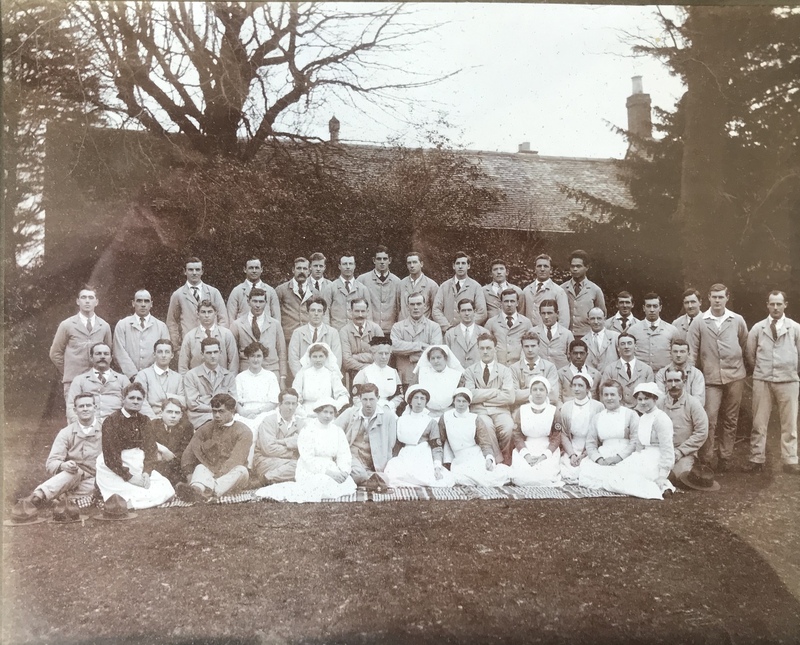 From Etaples he was evacuated to the London General Hospital in Chelsea and then transferred to the NZ Convalescent Hospital at Brockenhurst on 29 November 1916. During his convalescence he married Dorothy Bellenger at Pokesdown, Bournemouth on 27 January 1917. From Brockenhurst he went to the NZ Command Depot at Codford before recovering sufficiently to return to France on 28 May 1917. From May to October 1918 he was attached to the NZ Entrenching Battalion. He returned to NZ on the troop ship Kia Ora and disembarked on 10 May 1919 to be reacquainted with his wife and to meet his 18 month old son, Henry Andrew Aitken. After the war Henry was employed by J P Cameron as a farm labourer at Claremont. In about 1923 he and the family of four moved to St Andrews where he lived in a small two-bedroom cottage and worked at the Pareora Freezing Works. The need for more family space lead him to move in 1924 to Mayor Craigie’s former homestead, “Craigielea” and about 20 acres next to the beach on Craigies Rd, Kingsdown. He lived there until his death in June 1966. The house and surrounding trees have since been removed. For the most part of this period Henry worked as a butcher at the freezing works and undertook casual agricultural labouring during the off-season. Henry also used his small holding to good effect. 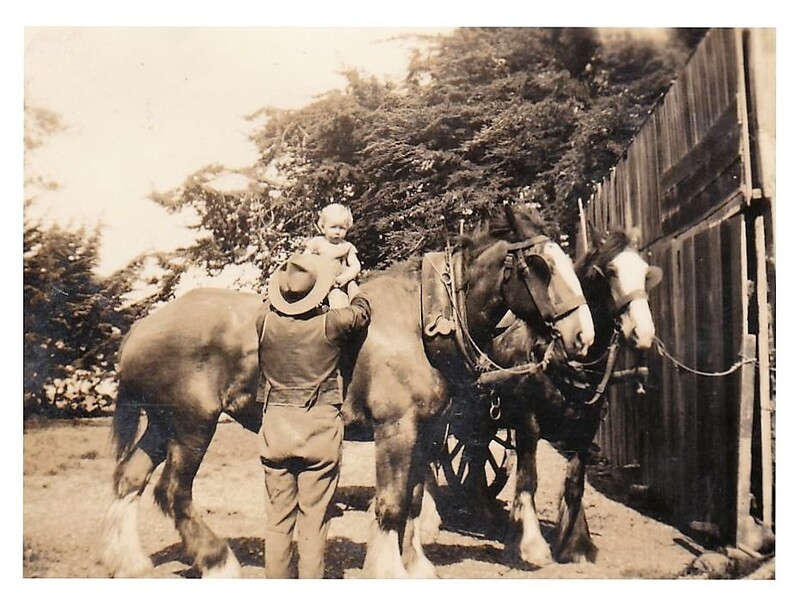 He had a particular skill with and interest in Clydesdale horses and took stallions around the south Timaru area to serve as sire horses. A proud moment, and one which significantly tested his sobriety, was winning the best sire stallion award at the Timaru show in 1932. With horse powered agriculture becoming irrelevant he shifted his focus to breeding and training sheep dogs. Although success at show trials eluded him he developed a reputation for producing excellent heading dogs which were well sought after. Pedigree collies were imported from Scotland to add to the quality of the stud. The property also provided the family with an income from eggs, cream and butter which were sold to a local travelling grocer. Several acres were used for potatoes and pumpkins. Although he had no religious affiliations (he was nominally a Presbyterian) he had a strong social conscience and gave away much produce to St Saviours orphanage (later St Vianneys) in Morgans Rd. His property provided a self-sufficient life style, Henry made a high quality bacon and very good cider, but lacking electricity and a telephone and the constant need for firewood made for some challenges. An old Model A Ford truck was his long standing transport. During his lifetime he never lost his Scottish accent and he retained an affection for Scotland and many of its attributes, including oat cakes, porridge, whisky and Burns’ poetry. He was a distant relative of Robbie Burns. Henry and Dorothy had four sons, Henry Andrew Aitken (1917–2014), David Robert Aitken (1921-1992), Alan Aitken (aka Doug, 1922-1991), and Neil Aitken, (b.1923).